Wandering through a discount gift* shop in Fairfield one afternoon in search of a costume bow-tie for a dress-up party, I came across a rather curious water bottle display. *On a side note, if you’re buying gifts from these types of stores then you probably need to find some more meaningful friends. What you can see pictured are some colourful plastic water bottles. Fine. According to the packaging, they are “Premium Quality Sports Water Bottles”, but I think the manufacturer has probably taken a bit of artistic license with the use of the words premium and quality here. That’s what the entire marketing industry is built on – the idea that you can create an image for a product that makes it more desirable than it would otherwise be. If the manufacturer was to be honest, they’d probably have to call them “Cheap Plastic Water Bottles That Will Probably Leach Toxins And Kill You Slowly”. But thankfully manufacturers aren’t required to be very honest these days. In reality, I just can’t see how this Durmaz brand drink bottle could be considered a premium product. 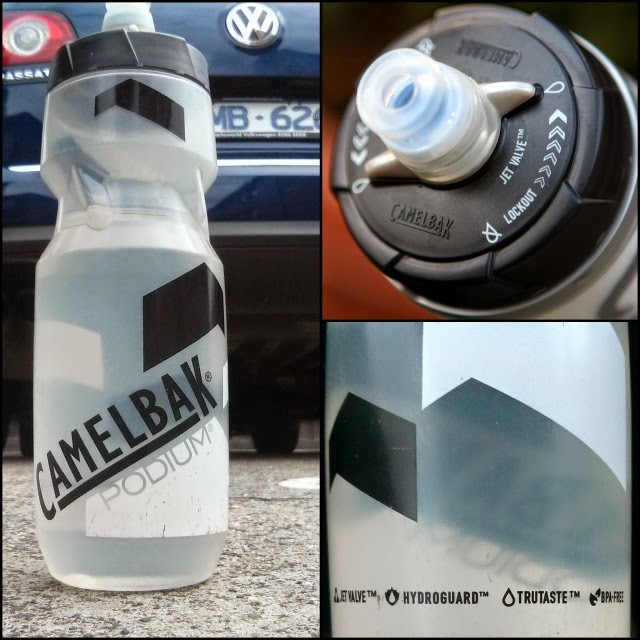 The Camelbak Podium, on the other hand, is most definitely an example of a premium bottle – and that’s got proprietary technology coming out its leakproof mouth hole. The Podium includes a self-sealing Jet Valve™ to eliminate spills, 100% BPA-Free TruTaste™ polypropylene construction with HydroGuard™ for better tasting hydration and a leakproof lockout mechanism. It is for this incredible amount of proprietary technology, that I have no qualms, whatsoever, in calling the Camelbak Podium a premium water bottle – in fact, it’s probably an insult to even call it a premium water bottle. I’m going to go with premium Personal Hydration System. But the same cannot be said for the Durmaz. Even its feature list doesn’t really hide the fact that it’s not a premium drink bottle. Aside from the “Rubber grip – minimising slips & spills,” I can’t really see how “Easy refill – Screw Top” is a premium feature unless you are comparing it to a milk carton. 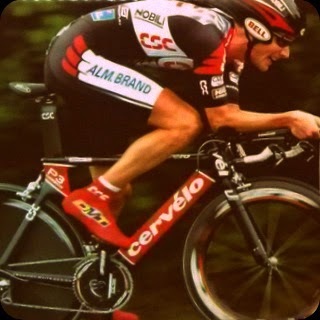 And even though the packaging includes a photo (circa 2005) of professional cyclist Dave Zabriskie (in the days before he was a fish-eating vegan), it confusingly says that the bottle is “Designed to be hand held.” And furthermore, the photo of Zabriskie shows him onboard a Cervélo P3C that doesn’t have a bidon cage mounted so there’s no actual firm indication that this bottle is even designed to fit in a standard bicycle bidon cage. At this point, and on the surface, this seems like some fairly average marketing. But when you look a little closer, it appears that the photo is most likely from the Stage 1 time-trial of Dave Zabriskie’s 2005 Tour de France debut. Despite being his first ever Tour de France stage, Zabriskie famously zoomed around the 19 kilometre course to win in a time of 20 minutes 51.80 seconds, which is widely regarded as the fastest ever average speed (54.676km/h) for a (non-downhill) road time-trial. It was certainly the fastest ITT in Tour de France history (excluding short prologues). Obviously this result has now been officially annulled from the record books (along with most other professional cycling victories from this era) after Zabriskie's admission to doping offences. 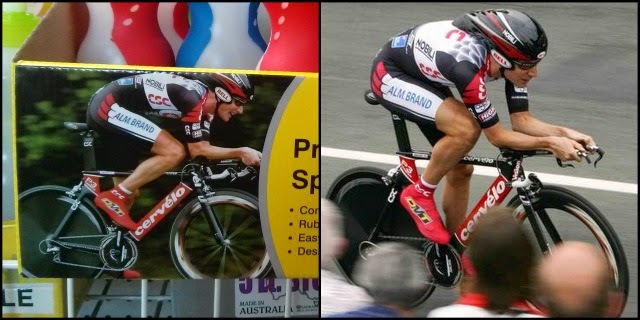 Here’s a photo from Zabriskie’s Stage 1 Time Trial in the 2005 Tour de France side-by-side with the photo on the Durmaz Premium Quality Sports Water Bottle packaging. I was intrigued to find out whether Durmaz had licensed this image of Zabriskie from either him or his team at the time (Team CSC) so I sent them an email enquiry, which has unfortunately not yet elicited a response. 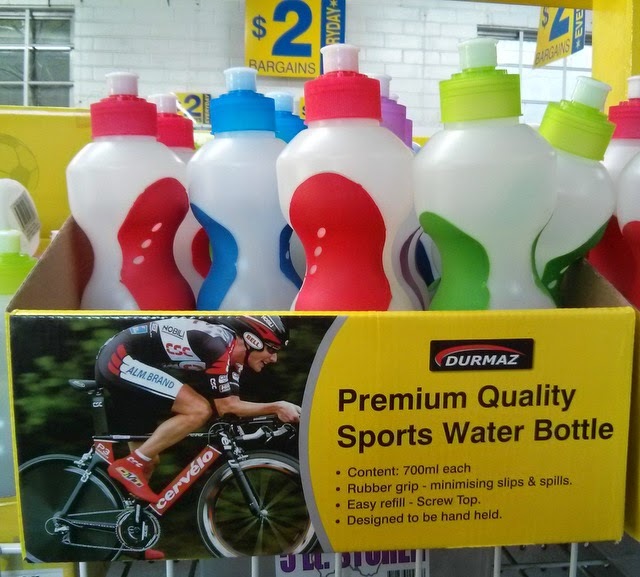 I’ve got a hunch that their marketing department is probably not even aware that the photo used on their Premium Quality Sports Water Bottle packaging captured such an historic achievement in professional cycling. 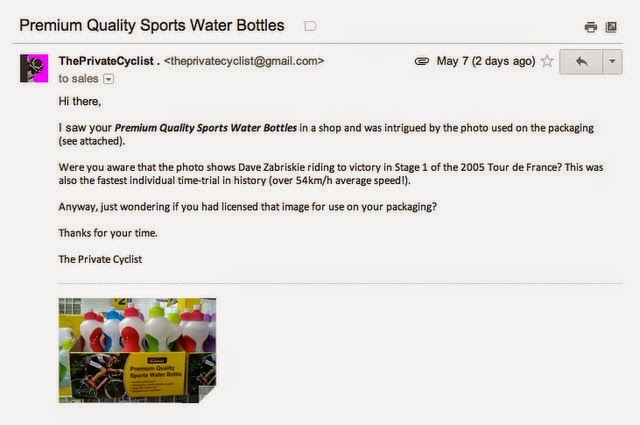 But the possibility does exist that the photo was carefully chosen and they knew all along about the powerful connection it could make between (enhanced) cycling greatness and water bottles (that aren’t even designed for bikes). So was this a marketing fluke or a stroke of marketing genius? 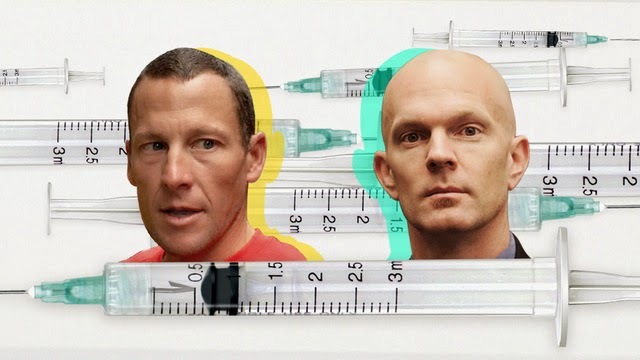 Obviously I’m not qualified to provide you with any meaningful answers but maybe I’ll send an email off to FDA investigator Jeff Novitzky and see if he feels like delving in to this curious intellectual property case – once the whole Lance Armstrong thing blows over.